Monthly women's division tournament. Hosted at Melt Sort North with Arcade Super Awesome. Format will be 4 rounds of group matchplay, followed by a playoff for the top half (or less) of the players based on turnout. Players will be placed in groups of 4 and play on a randomly selected machine. Matches will be best of one game, scored 5/3/2/1. 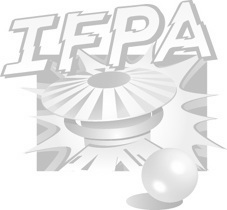 Initial pairing will be IFPA adjacent with subsequent rounds being Swiss pairing. Ties will be broken on a single, randomly selected game. Following 4 rounds, top players will playoff in a single elimination bracket. *We will alternate to a double round robin with MatchPlay finals for the top four if time and player count allows. Tournaments are open to women of all ages and players of all skills are encouraged to participate. Tournament starts promptly at 8PM. Registration and practice start at 6PM. More details to come, including game list and sponsors.